Cucumbers were on sale last week for a dollar a piece- the good English ones. Love those things. Anyway, I threw together this salad one night. It’s pretty good, though next time I will make some adjustments- some dill or parsley, a microplaned garlic clove, maybe more onion. Combine all ingredients except cucumbers and mix well. 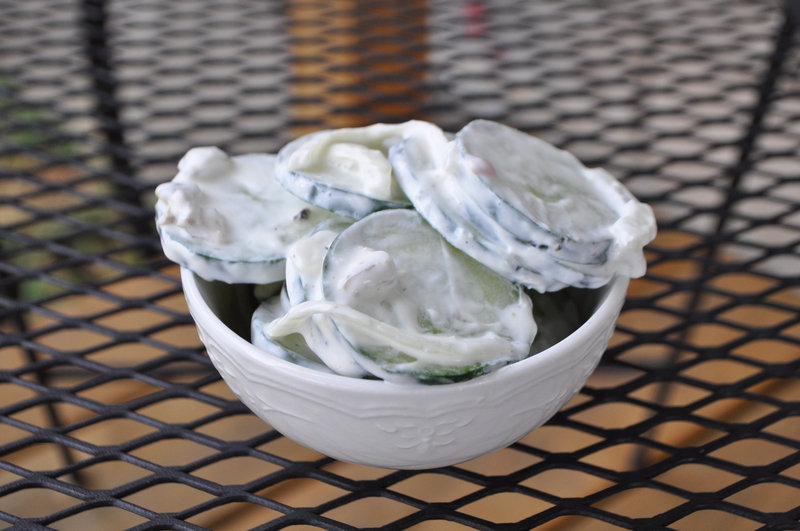 If you prefer your cucumbers peeled, peel them and then slice to 1/4-inch thickness. Add cucumbers to the dressing mixture and stir. The flavors will continue to improve the longer the mixture sits in the refrigerator. 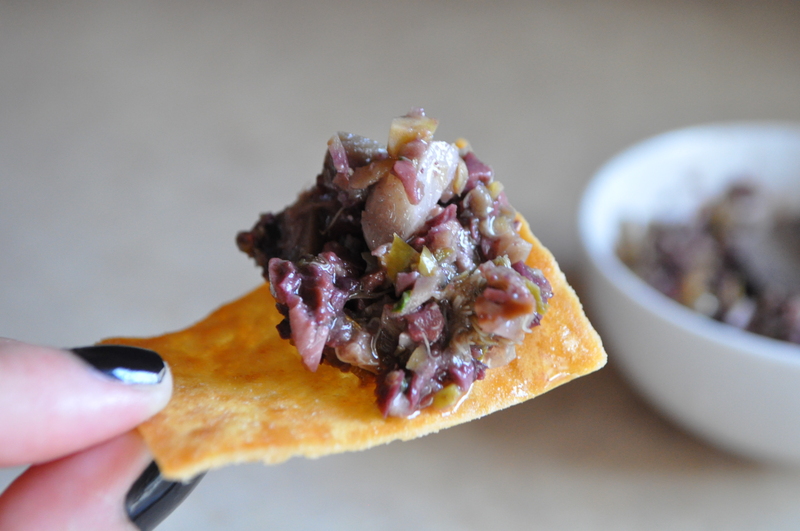 I made this lovely little tapenade for the Spicy Italian Sandwich that I posted a few days ago. Even though I used it as a sort of relish, it would also be good as a dip with pita chips. Plus, it keeps a while in the fridge! So you can use this again and again to liven up those cold cut sandwiches. Place all ingredients in the bowl of a food processor. Process to combine, stopping to scrape down the sides of the bowl, until the mixture becomes a coarse paste, approximately 1 to 2 minutes total. Transfer to a bowl and serve.